In November 2017, I started a placement with the Amgueddfa Cymru-National Museum Wales (AC-NMW). The four-month placement is funded by the Natural Environment Research Council Valuing Nature Programme. 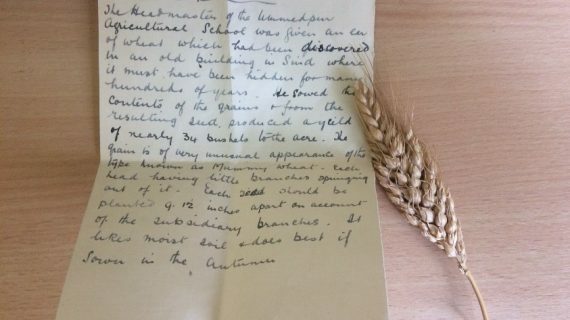 It aims to investigate ways in which the AC-NMW’s Economic Botany Collection can improve societal understanding and valuing of biodiversity and contribute to the AC-NMW well-being duty (Well-Being of Future Generations (Wales) Act 2015). I arrive at this placement with an interest in how plants and the cultivation of plants have the potential to support health and well-being in a range of ways. 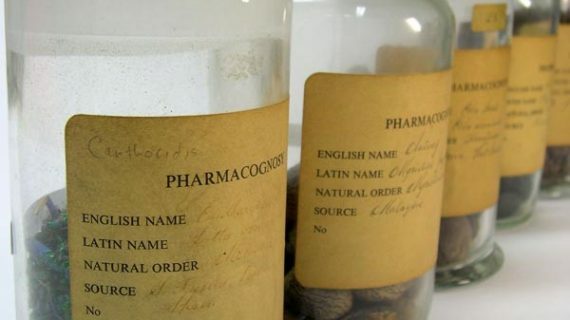 The Amgueddfa Cymru-National Museum Wales Economic Botany Collection consists of approximately 3,500 specimens of various items ranging from seeds to medicinal plants, dyes, tannins, cotton and other fibres as well as a range of oils, gums, resins and pine cones. I have spent the first part of the placement exploring the collection. 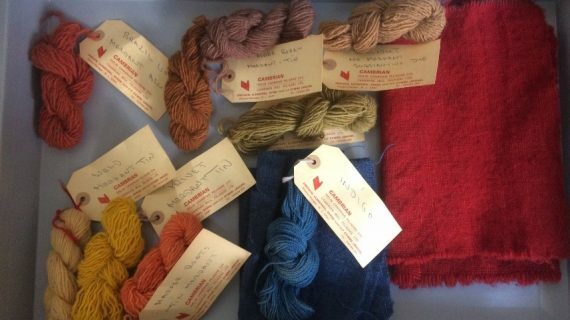 Highlights include the largest seed in the world – the Coco de Mer – to some of the smallest orchid seeds, a range of naturally dyed wool samples from Cambrian Mills – including Walnut, Elderberry, Indigo, Privet and Madder. 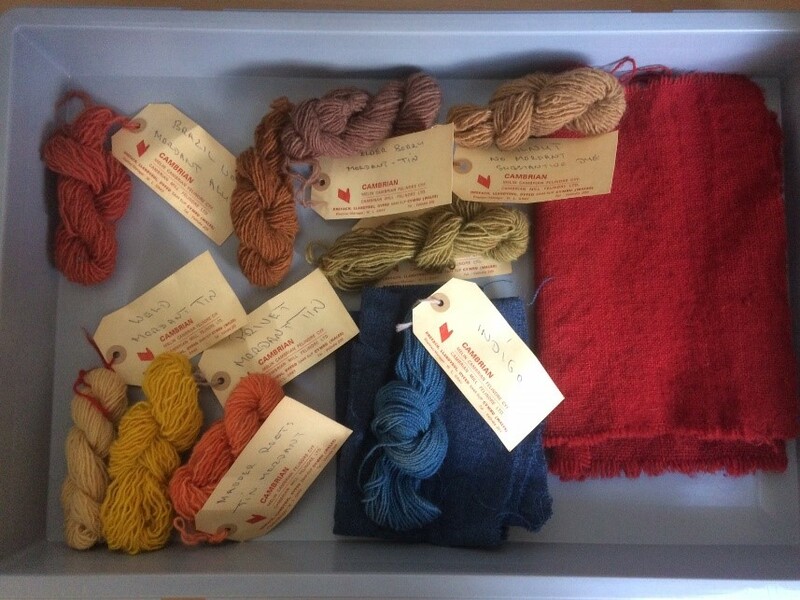 Alongside the diversity of material contained within the collection, there are many stories. The collection includes a range of notation and correspondence of collectors. Exploring the collection also reveals interests of collectors. 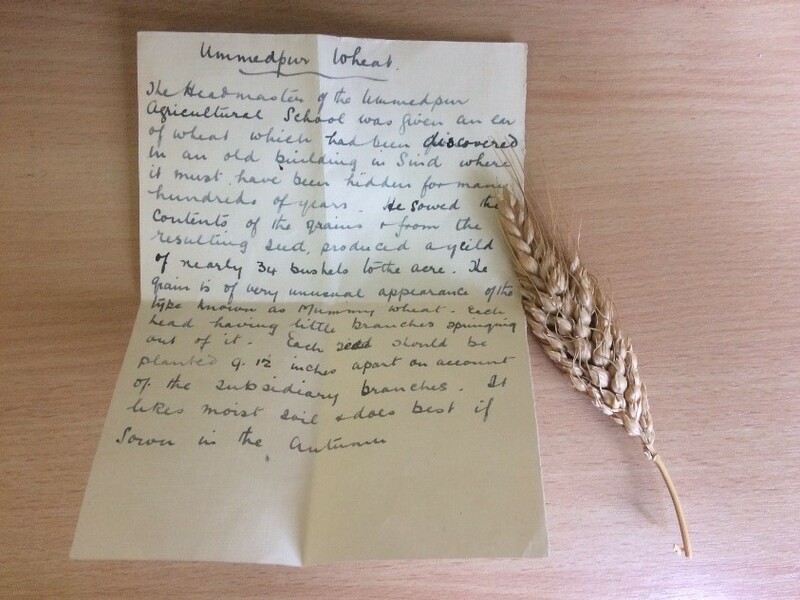 One of the previous Keepers of Botany at AC-NMW (1962-1984), SG Harrison had a keen interest in drift seeds, found floating along the tidal range of beaches across the world from Riviera Beach, Florida to Malaysia. A key contributor to the collection is AE Wade, who investigated Welsh flora within South Wales and surrounding environs. He contributed seeds of wild plants and flowers found in the verges of Cardiff city, within Cardiff Castle and AC-NMW grounds, Cardiff and Barry Docks and the Vale of Glamorgan. There are also a number of seeds from Singleton Park Botanic Gardens and Kew Gardens. 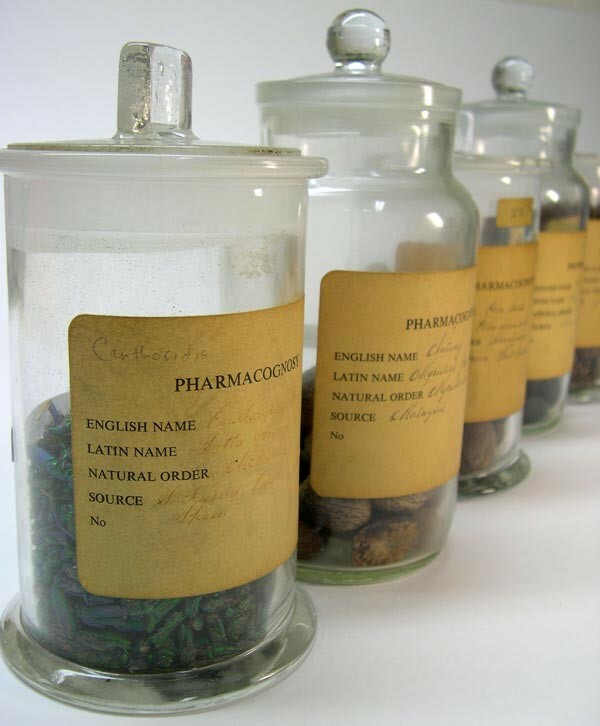 The Museum also hold the recently acquired Materia Medica collection from Prof. Terence Turner (School of Pharmacy and Pharmaceutical Sciences, Cardiff University). The next phase of the placement invites members of the public explore how the collection might be better used and how new collecting approaches might best be approached. I am looking forward to meeting a range of stakeholders interested in biodiversity and well-being within Wales. 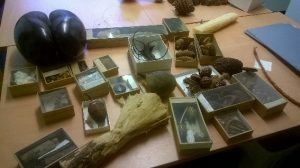 One of the forms of engagement will include the co-production of a range of handling boxes of specimens from the Economic Botany Collection with a number of identified stakeholders, and a public consultation at the Museum during February half-term. Yew (Taxus baccata), the needles of which contains yew leaves contained compounds that could be used as starting material for the synthesis of paclitaxel, an active anti-cancer compound which can be used for the treatment of ovarian cancer. Madagascan periwinkle (Catharanthus roseus) contains several highly toxic alkaloids which have been used in the treatment of a number of cancers. One derived compound has been credited with raising the survival rate in childhood leukaemia from less than 10% in 1960 to over 90% today. Sweet wormwood (Artemisia annua) has been used in China for centuries for treatment of malaria – since at least the third century CE. The active principle artemisinin which is a chemical that occurs naturally in the leaves of Sweet wormwood has been identified as a potent anti-malarial agent that may be used to treat one of the most deadly malarial parasites, Plasmodium falciparum. Several semi-synthetic derivatives have now been used for combination therapies for the safe treatment of acute and recurrent malarial infections. There are now a range of programmes selecting and cloning high artemisinin-yielding chemotypes. There must be more plant medicines to be discovered! By the year 2050, 60,000 species may become extinct. Conservation which preserves biological diversity is vital for the future. The Materia Medica gifted to AC-NMW by Prof Terence Turner of the School of Pharmacy and Pharmaceutical Sciences may prove to be a useful resource for the future of understanding the healing properties of plants. I am in the process of building links with the National Botanic Garden of Wales, Kew Garden and the Royal College of Physicians garden team to further explore how the Prof Turner’s Materia Medica could be developed as a resource. The project is funded by the Natural Environment Research Council-Valuing Nature Programme. Poppy Nicol is the principal researcher (Sustainable Places Research Institute, Cardiff University) currently based at AC-NMW National Museum Wales. Findings will be presented in a report which will be made publicly available on the NERC Valuing Nature network website.